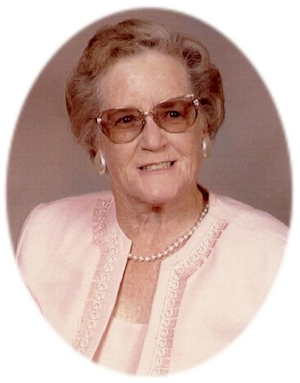 Obituary – Beasley, Betty Jean (Koch) « Perry High School Alumni Association, Inc.
Betty Beasley, 83, of Perry, Oklahoma, was the daughter of Glenn Allen and Ethel Nell (Faunce) Koch. She was born December 28, 1927, at Perry, Oklahoma and died August 5, 2011 at Perry Memorial Hospital. She attended school at Perry High School and Compton California Jr. College. On May 7, 1998 she married Ellis Beasley in Oklahoma City, Oklahoma. Betty worked as a secretary and bookkeeper at Dolezal Agency, Dale Wilson Chevrolet, Gilliland-Martin Chevrolet and Ditch Witch, where she retired. Betty married Foy Eddie Smith in 1969, in Perry. They were married for 25 years. She was on the first board of director’s for Camp Tan Da Ko. She was also served on the board for the Cherokee Strip Historical Society and Perry Alumni Association. Betty also was a member of the Perry Business Women. She was a proud supporter of the Perry Takedown Club and Perry Band Boosters. Betty spent many years helping with the Oklahoma Blood Bank and working on the P.H.S. Alumni Building. She also helped her husband tend to their farm. Funeral services will be at 10:00 a.m. Tuesday, August 9, 2011 at the Brown Dugger Funeral Home Chapel in Perry, Oklahoma. Rev. Ed Cook will officiate. Betty is survived by her husband, Ellis Beasley, of the home; two sons, Keith Newton and his wife, Patricia, Lyle Newton and his wife, Ann all of Perry, Oklahoma; one daughter Kristine Hoffman and her husband, John, of Lawson, Missouri; two step sons, Ellison Beasley and his wife Karen, of Stillwater, Oklahoma, Dan Beasley and his wife, Karen of Perry, Oklahoma; one step daughter, Janene Bridwell of Midwest City, Oklahoma; six grandchildren, Terence Newton, Lauren Newton, Lynette Wosmek and her husband, Philip, all of Perry, Oklahoma, Tina Newton of Atenas, Costa Rica, Angela Dickson and her husband, Richard, Derek Hinson all of Lawson, Missouri, ten great grandchildren, seven step grandchildren and two step great grandchildren. She loved and is survived by step-children: Patty Smith Dietrich and family, Kansas City, MO; Mike Smith and family, Spanish Fort, Alabama; Jim Smith and family, Edmond, OK.